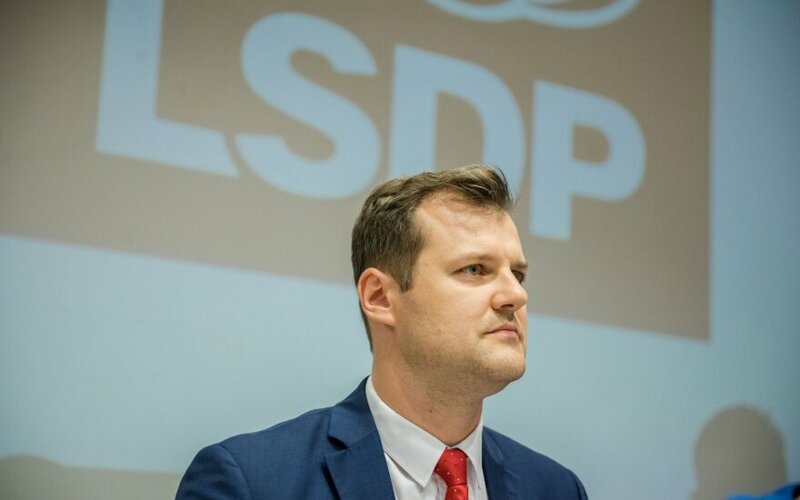 Confidence in Lithuania's opposition Social Democrats is currently at the lowest level since the 2016 parliamentary elections, while the minority conservatives and the ruling Lithuanian Farmers and Greens Union remain at the top of the popularity list, shows a Vilmorus survey published in Lietuvos Rytas daily on Saturday. Vladas Gaidys, CEO of the Vilmorus public opinion and market research center, said the low ratings of the Social Democrats could be a result of the party's failure to find its identity after the 2017 split in the party's ranks. In the February survey, 7.6 percent of respondents said they would vote for the Social Democrats, down from 8.3 percent a month ago. "This is the lowest result after the elections of October 2016. The Social Democrats earlier linked the Social Democrats with the ranks of Algirdas Brazauskas. The ranks are somewhere else," Gaidys told BNS. According to the Vilmorus' survey, the conservatives would currently secure support of 16.8 percent of those polled, while their ratings stood at 17.8 percent in January. The ruling LFGU was favored by 13.5 percent of respondents, as compared to 13.9 percent in the earlier survey a month ago. According to the poll, the Order and Justice party is currently supported by 7 percent of those polled (8.4 pct in January), the Liberal Movement is backed by 5.3 percent (4 pct) and the Labor Party by 4.3 percent (2.7 pct). The Electoral Action of Poles in Lithuania – Union of Christian Families has the support of 3.4 percent of respondents (2.3 pct in January) and the Center Party by 2.6 percent (1.9 pct). Another 19.7 percent of those polled said they were undecided on the party to support and 15.6 percent said they would not go to polling stations. The survey for Lietuvos Rytas was conducted by Vilmorus pollster on Feb. 9-18.